How to Style a Bar Cart Like a Professional | Havenly's Blog! It’s worth spending that little bit of extra effort to source bottles and cans (just clap your hands!) that have some visual interest. In short – select only the prettiest liquors to put on display. 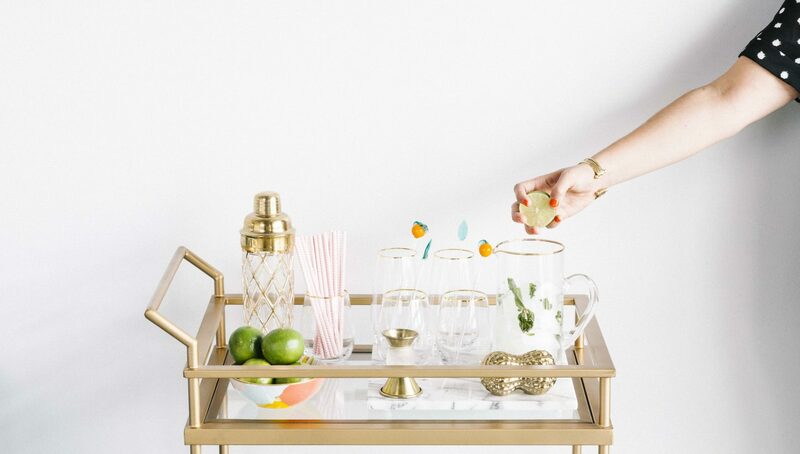 Shop everything you’ll need to create your perfect bar cart at Havenly.